Skateboarding is the cure to all boredom. Starting out may be hard, but once you get the hang of it, you will have the most fun you have ever had in life. It is used as a way to vent out the stress of life. It is a very good way to relax and relieve yourself of the burdens of school or work. Skateboarding should not be used as a way to “look cool”, if that’s you, and you are reading this, stop being a poser. If your going to hold a skateboard, ride it, don’t just try and look like a skater. For all the stupid posers out there, go skate! If you aren’t very good at skateboarding go to your local skate park, and start skating. Some people get to a park and just wait for someone to invite them to start skating, you just have to put the board on the floor and push. Don’t let any one push you around in a skate park, you have just as much of the right to be there as they do. Alot of people would rather skateboard the street style, but to me ramps is the best part. I’m not saying its better, but I think it is alot more fun. Try learning some stalls first, then start going onto the ramp at an angle and grind the new stalls. Once you get used to riding the ramps, try all your new tricks going twice as fast. The faster the tricks are, the more fun it will be. 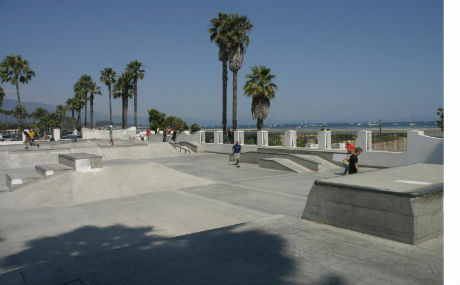 If you are traveling looking for good skate parks, my favorite park is Skater’s Point located on the beach of beautiful Santa Barbara. Give me some feedback, I want to know your favorite skate park and your favorite trick, Street style and ramps. P.S. Tofu is nasty, Tuna is better, but Nutella is the best.